Coen Swijnenburg-it all needs to come together. 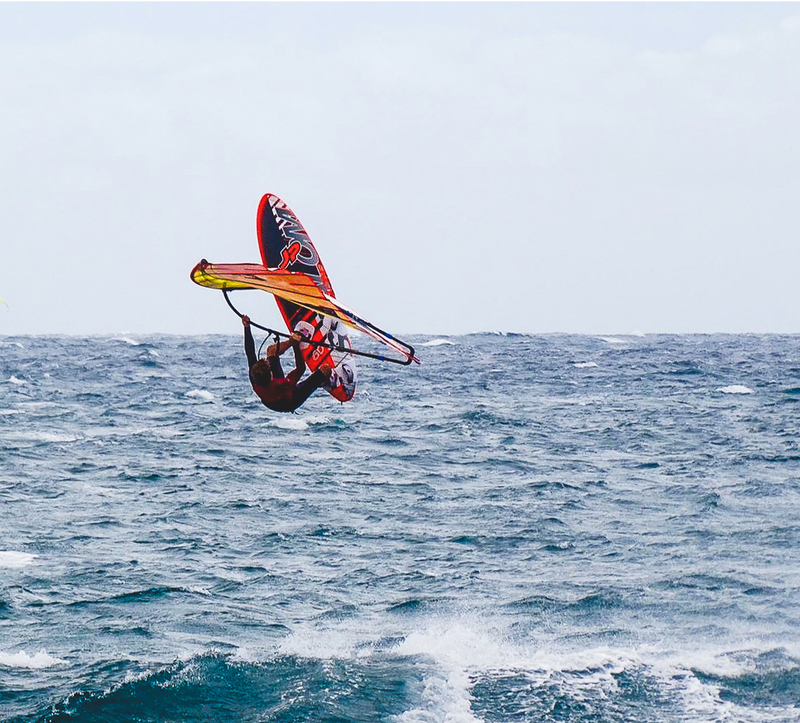 IFCA: Have you experience windsurfing in Almanare before ? Coen : YES; this April it will be my the 3rd time in Almanare which is one of the best spots to windsurf and compete. It is Close to the water, nice people, good venue and great surfing.The first time I’ve been to Almanarre was 5 years ago during the 2011 IFCA Slalom Europeans. My first competition ever in France, I couldn’t understand a word they said and even missed my last final, still became 2nd in the u15. In 2015 we came back for the IFCA Slalom Europeans again a bit too early in the season so I didn’t tune and train. It was a great championship with good winds and a lot of races. The level was high, the French guys were racing very good and I couldn’t expect too much at all. Not making the podium wasn’t pleasant at all, I became 5th. IFCA: How did you spend your winter season ? Coen : I had a good winter. running, some fitness and at the moment for 1 Month in Tenerife to train and tune. IFCA: Any new changes for the upcoming season ? 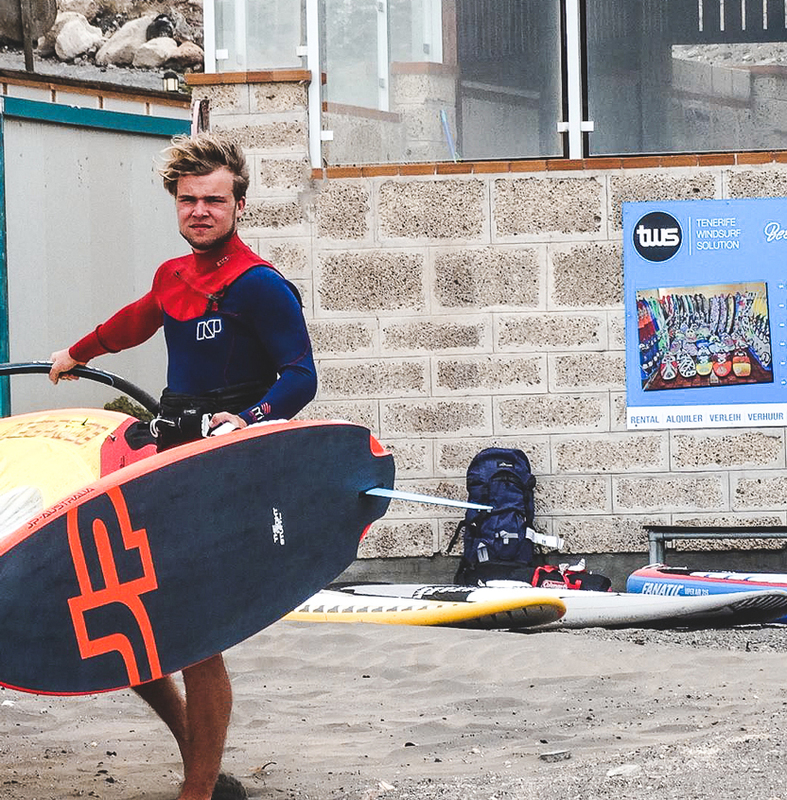 Coen : JP is my new board sponsor and to be honest, most of the training in El Medano was in high winds not a moment of flat water but just waves and chops. My 90 liter ( 60 cm) JP slalom combined with a NP 6,4 Evo and a 32 Hurricane gives me speed and control. So for the moment that’s my combi to kill. IFCA: Who are your training buddies ( and which one of them do you keep an eye on)? Coen : Training buddies: Jordy Vonk, Ennio Delpont, Jan Kosima are here in Tenerife and back in the Netherlands I train with Ingmar Daldorf and some other Dutch guys. They are all great fun to train with. The IFCA Youth division is known for a lot of new and good talented guys and close racing battles. I definitely keep my eyes on: Ethan Westera, Damian Arnoux, Basile Jacquin and some others. Coen : I’m aiming for a podium, It will be a hard competition and to be on the podium, it all needs to come together. I trained well, feel comfortable with my material so with a bit of luck, it should be 3,2 or 1.